The Former Ship Inn is a minor waterways place minor waterways place place on the waterways major waterways place village town city on the Grand Union Canal (Grand Junction Canal - Main Line - Gayton to Brentford) between Willowbridge Bridge No 99 (14 miles and 2¼ furlongs and 16 locks to the north) and Marsworth Junction (Junction of Grand Union Aylesbury Arm with Main Line) (2 furlongs to the southwest). The nearest place in the direction of Willowbridge Bridge No 99 is Farm Bridge No 129; 1¾ furlongs away. The nearest place in the direction of Marsworth Junction is Town Field Farm Bridge No 130; ¼ furlongs away. 90 Vicarage Road, Marsworth, HP23 4LU — 78 yards to the south. Lock 39 Startops End, Marsworth, HP23 4LJ — 736 yards to the south. 1 Vicarage Rd, Marsworth, HP23 4LR — 598 yards to the southeast. Unit 6, Williams Court, Tunnel Way, Pitstone, Leighton Buzzard, LU7 9GJ — 1636 yards to the east. Lukes Lea, Marsworth, HP23 4NH — 911 yards to the south. Tring, HP23 4JD — 1298 yards to the south. Herne Cottage, Marsworth Road, Pitstone, LU7 9AP — 1371 yards to the northeast. Startops End, Marsworth, Tring, HP23 4LJ — 757 yards to the south. Tringford, Tring, HP234 — 1298 yards to the south. Tringford Piggeries, Tring, HP23 4LH — 1308 yards to the south. Tringford Piggeries, Tringford Road, Tring, HP23 4LH — 1248 yards to the south. Marsworth, Tring, HP23 4NA — 173 yards to the northeast. Tring — 608 yards to the southeast. Marsworth, Tring, HP23 — 85 yards to the south. Tring — 1292 yards to the west. 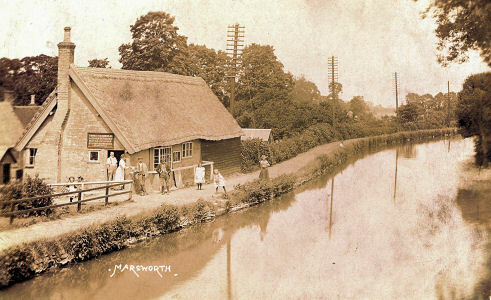 Marsworth — 911 yards to the south. Gubblecote — 1492 yards to the west. 92 Vicarage Rd — 85 yards to the south. Vicarage Road, Marsworth, HP23 4LU — 315 yards to the southeast. 1559 yards to the northeast. 1434 yards to the southeast. Wendover — 1457 yards to the southeast. Unit 15, Marsworth Airfield, Marsworth, HP234NF — 430 yards to the southwest. Tring, HP23 4 — 769 yards to the south. Church Lane, Tring, HP23 6LU — 273 yards to the south. 2 Stepnells, Tring, HP234NQ — 475 yards to the southeast. Tring — 315 yards to the southeast. Tring, HP234LS — 556 yards to the southeast. Berkhamsted — 1542 yards to the northwest. Marsworth Millenium Hall, Marsworth, HP23 4LR — 605 yards to the southeast. 63 Lower Icknield Way, Tring, HP23 4LW — 634 yards to the east. Tring — 1359 yards to the south. Milton Keynes — 328 yards to the south. 328 yards to the south.